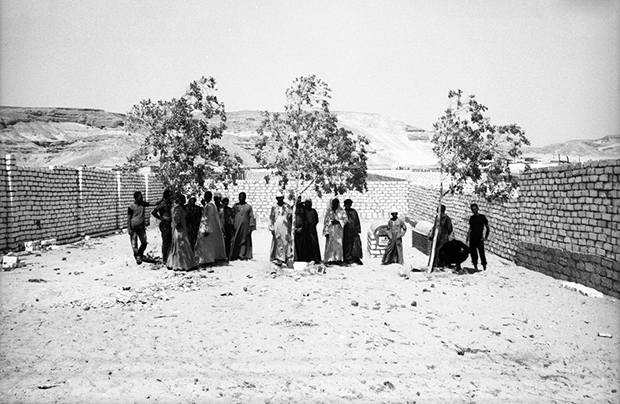 Egypt, near Mallawi, July 2012. The monks of the monastery of Saint Veni have been repeatedly attacked by gangs of Muslim fundamentalists from nearby villages. Jerusalem, December 2012. 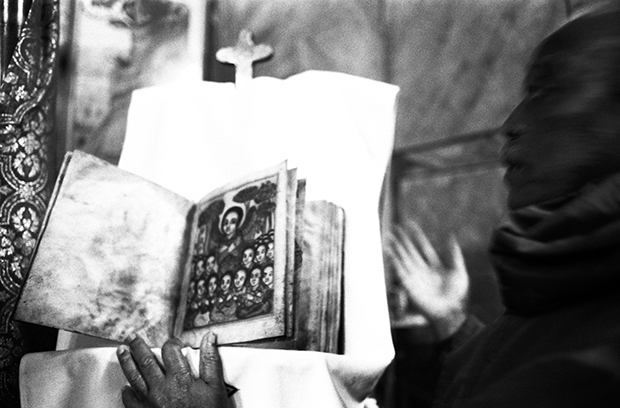 In the Ethiopian Church near Damascus Gate. The guardian shows an ancient version of the Bible. 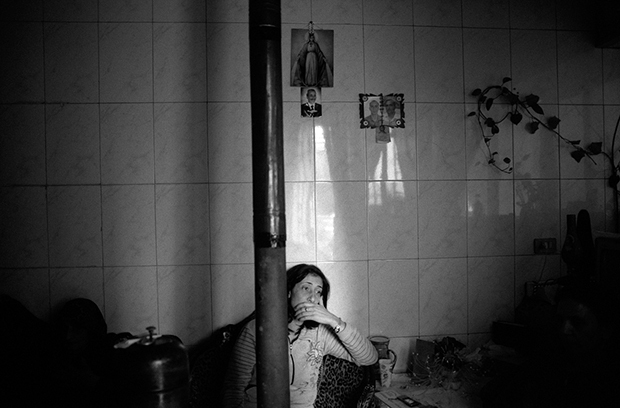 For Rifugio, Italian photojournalist Linda Dorigo spent nearly three years traveling with journalist Andrea Milluzzi across the Middle East, gathering the stories of Christians living in Iraq, Palestine, Egypt, Syria, Iran, Jordan, Israel, and Turkey during a period of mass exodus from the region. In light of recent land seizures by The Islamic State of Iraq and the Levant, an extremist group of Sunni rebels, hundreds of thousands of Christians have fled their homes for safety in Europe and America, leaving behind much of what they hold dear. 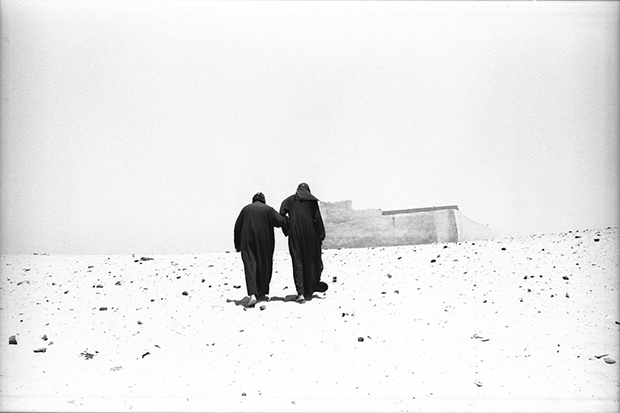 For Dorigo, understanding of the situation in the Middle East is fostered not only by news footage of ethnic violence and of minority refugees but also through glimpses into the daily lives of those who choose to remain at home. 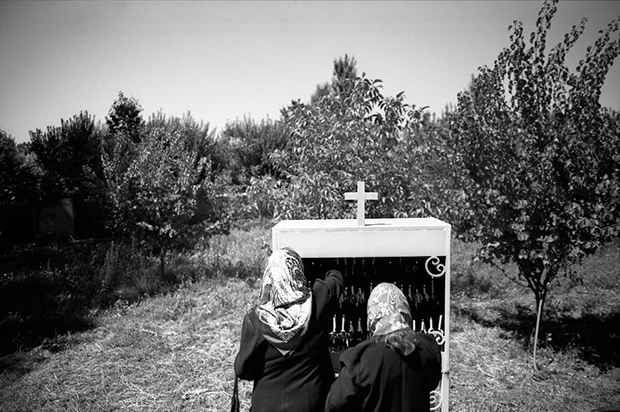 In regions where Christianity once flourished, the photographer finds the remnants of ancient traditions that now face the possibility of annihilation. 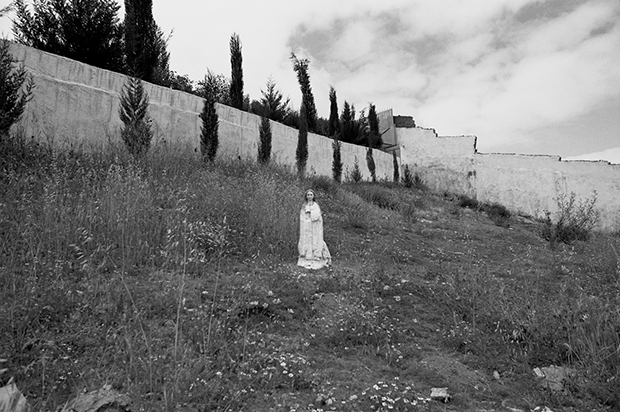 In visiting the hallowed church grounds and graveyards in which thousands of ancestral Christians have worshipped and buried their ancestors, Dorigo traces the history and suggests the uncertain futures of these small populations of persecuted Christians. She sees through a secular lens and makes a point of avoiding forecasts, maintaining that her role is not to prophesy but to record the stories of a people who are currently situated at a crossroads, torn between their firmly held systems of belief and an anxiety over their survival. Of course, Christians are not only only religions communities suffering gravely from ISIL control; “Yazidis, Turkmens and Shiias have been victims of violences and mass executions,” explains Dorigo. While this is by no means the beginning of a Middle East fractured by ethnic and religious tensions, we as a global community stand at a critical juncture. Dorigo explains that “Rifugio” translates to “haven” or “shelter;” here, its usage becomes symbolic of the sequestered regions in which minorities hold fast to their heritage, despite the troubled waters that surround them. 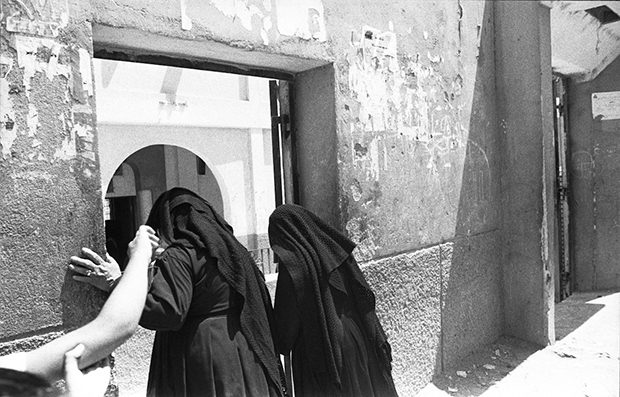 Egypt, Deir Abu Hennis, July 2012. Funeral. Ani, Turkey, August 2013. 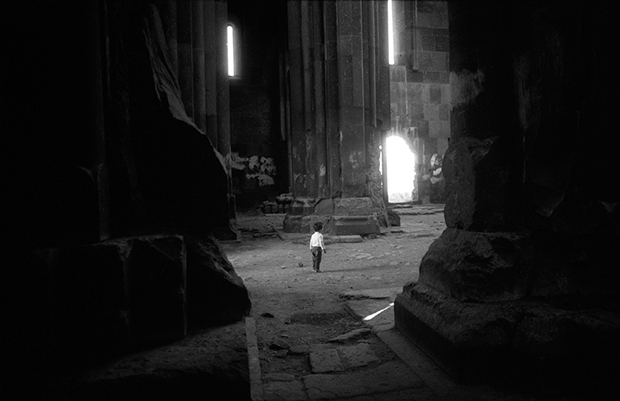 The ruines close to the border of Armenia have become a tourist attraction. Tabriz, Iran, July 2011. Father Milorad Vaghinagh is the priest of the Armenia Polish. 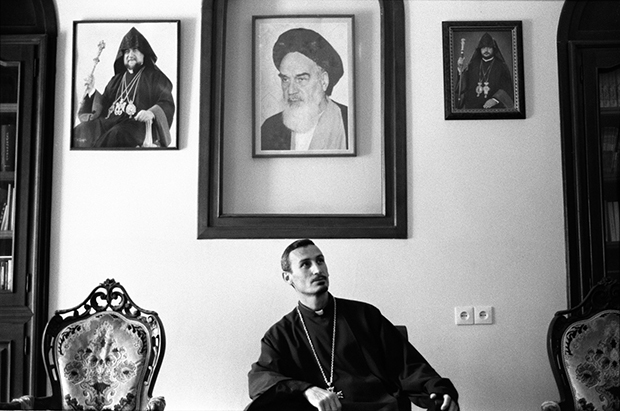 In his office, he has to keep the portraits of Roullah Khomeini. Damascus, Kassaa area, January 2014. 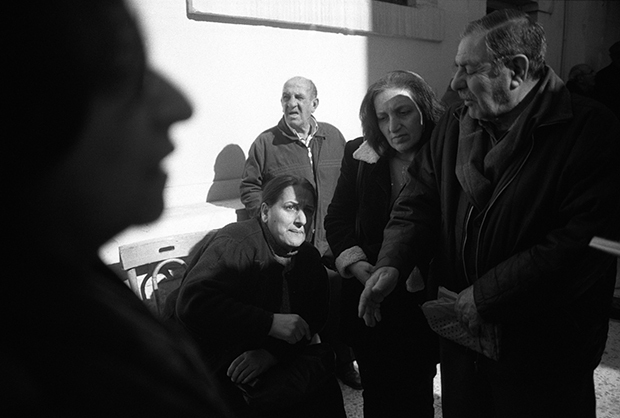 People waiting for health assistance in Saint Cross church. The woman has just escaped from Adra, a southern city recently fallen under Islamist control. 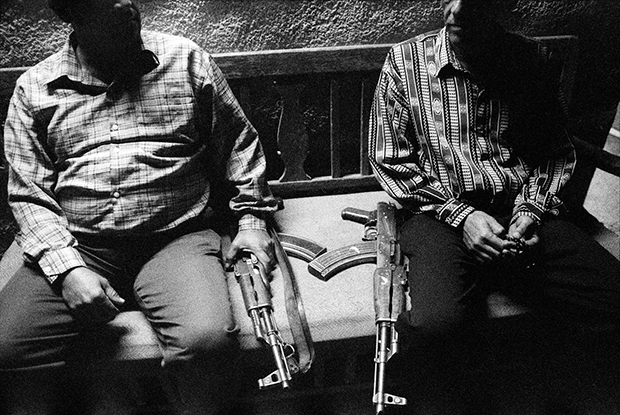 Egypt, Cairo, July 2012. 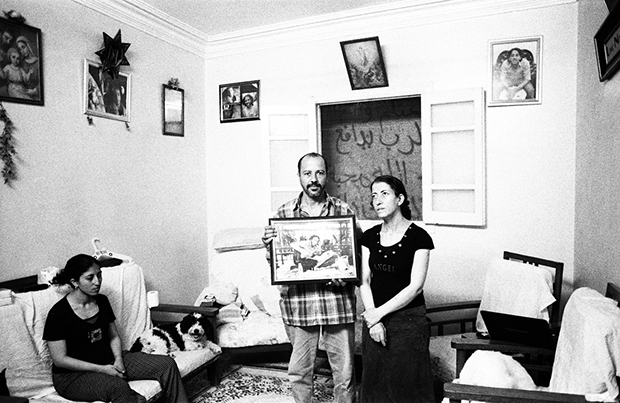 The family of Mina Daniels, a Coptic man killed by the army during Maspero protests in October 2011. Iraq, Qaraqosh, November, 2012. The Christian community of Qaraqosh, mostly originally from the nearby Mosul, organizes its own protection from possible terrorist attacks with private militias endorsed by the Kurdish government. 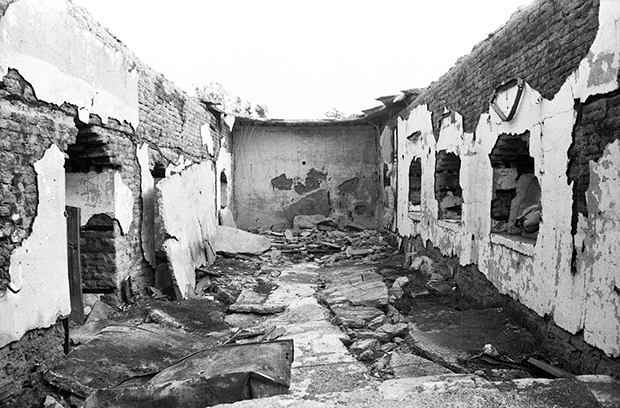 Iran, Salmas, 14th August 2011. Celebrations for the day of Santa Maria in a small church converted from a barn. Iran, August 2011. Olga kisses her nephew outside of a cemetery. 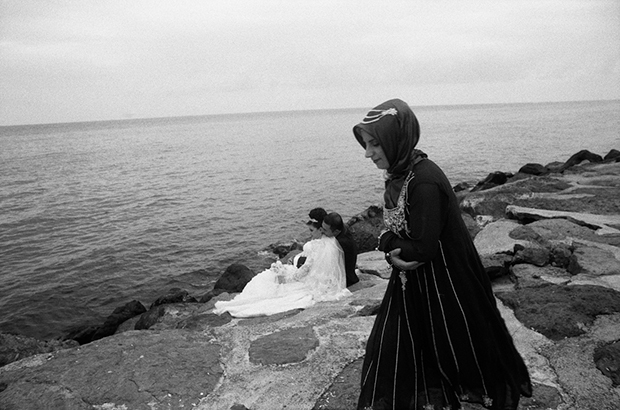 Turkey, Trabzon, August 2013. The Catholic priest Andrea Santoro was killed here in 2006. Rojava, Gharduka village, January 2014. The church has been destroyed by Jabat al Nusra militants who bombed it after having used it as a trench. Rojava, Gharduka village, January 2014. 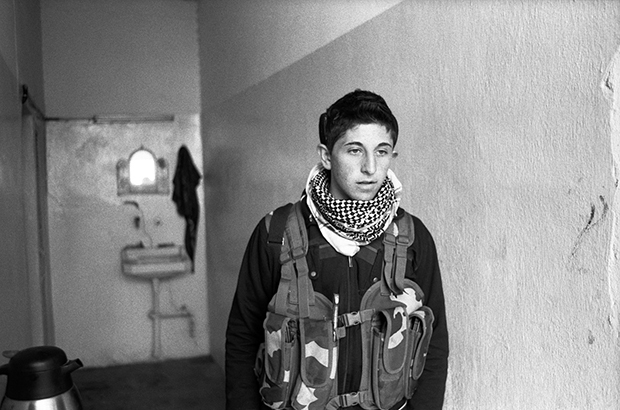 Oron is the youngest of the five soldiers patrolling this frontline. He is 16 years old and has just become a member of this group. Smakieh, Jordan, April 2013. The Saint Mary statue. Syria, Jaramana, January 2014. Many Syrian displaced share spaces and rent small flats. This woman is living with her sister and mother in 15 square meters.